I’ve always been a homebody. I love being at home. Growing up, I would complain on long car trips and vacations. I’m thinking these were just the inherit problems of being a young child with a huge imagination and some neat toys. I wanted to be at home playing, not in the car on a family adventure. Sure I had a good time when we got to where we were going, but how was I suppose to expect that to happen? I also could not keep up with my Mom during trips. She is a walker and could walk in circles around me. I would walk ahead quickly just so I could find a bench to sit on until the family caught up and I would have to get up again. Lazy! Then, college and life happened. I walked everywhere on campus during those four years and found that I really enjoyed the freedom of traveling by foot. It gave me time to think about random stuff, get some exercise, or just let my mind wander. I also rediscovered my inner child, who went hiding on and off throughout high school. My imagination is still a prevalent part of my personality today. As I got through college, and onto the real world, my walking has decreased and I miss it. I know it is a small thing, but it was an enjoyable activity. Also, the thought of being a hobbit with a goal to destroy a ring of power and having a long journey that was both difficult and rewarding crossed my mind during long walks. Traveling has been a huge theme as well. I do still really enjoy being at home, even though I have moved every year since I started college in 2006. Dorms, switching apartments, two different rental homes – yikes. Somehow, they do eventually feel like home. The thing with this homebody is, I just want to travel! We have taken a ton of trips our first year of being married, and I want to do more. I drive through the airport everyday to and from work, and the toll it is taking on me is a huge desire for adventure. Until the next plane trip, which is not anytime soon, I’m thinking a few road trips are in order. Austin is calling my name … or my tummy for delicious food. When Nick and I take long car rides, I am surprised at how the inner child, who handled them poorly in the past in my opinion, gets over it and enjoys herself. Instead of wishing for the driving time to be over and past, I enjoy the time it takes to get to places. If you wish all of the in between time were over, you would end up wishing half your life away. Instead we usually start off the trip by listening to Brad Neely’s Wizard People Dear Readers and giggle. This random stream of consciousness is mostly an outpouring of my joy at rediscovering an impatient inner child who has learned to enjoy long walks and car rides. Uh oh, now this sounds like a singles get to know you thing. Hi, my name is Katie. I like long walks, car rides, dinosaurs, and cats. We have been everywhere this summer. Our latest trip was to New Jersey to see my aunt and uncle. We had a great time and they made it a fantastic trip. We ate delicious food, saw some beautiful sights, and enjoyed the Garden State and some respite from the Texas heat. On our trip, we visited New York for two days as well. 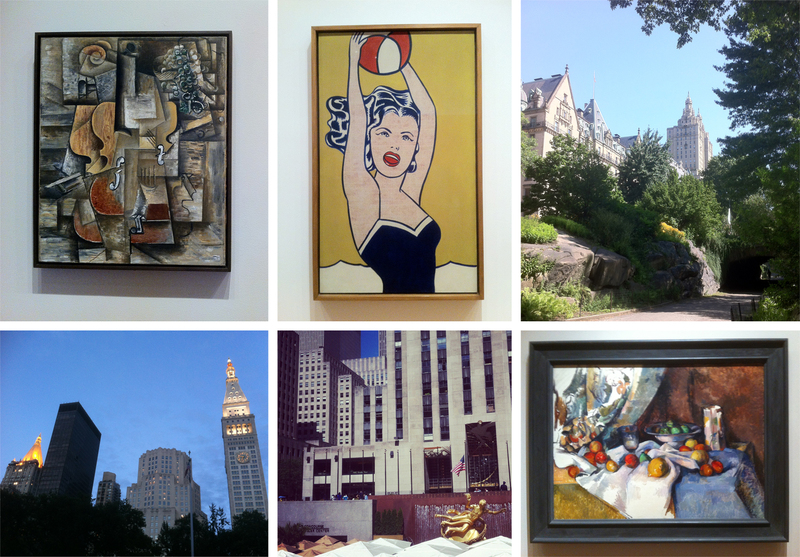 We saw some amazing art at the Museum of Modern Art, enjoyed a long walk through Central Park, and soaked up the architecture and city scape. We walked all over, honestly. My tennis shoes did their duty well, but it was well worth it to see all the random stuff we came across. 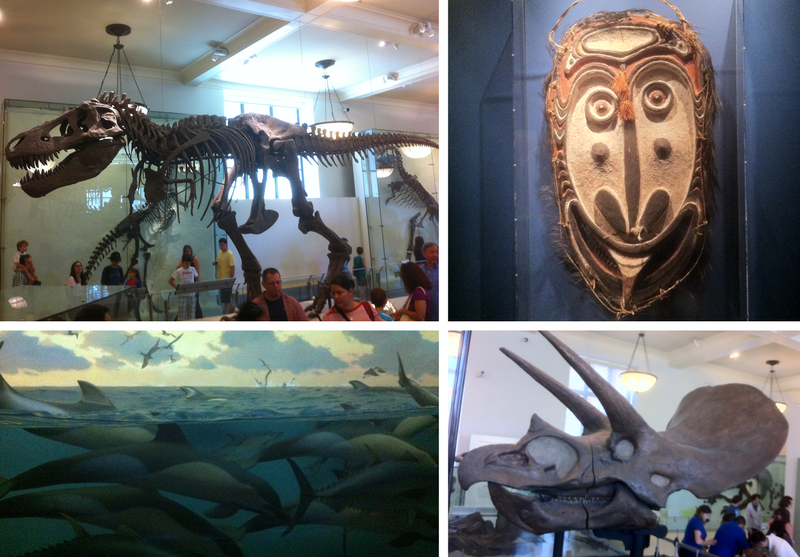 We also saw some amazing things in the Museum of Natural History. Nick and I love dinosaurs, and their collection was impressive. Very impressive. I think we walked through it five times. The whole museum was amazing and huge with so much to see. 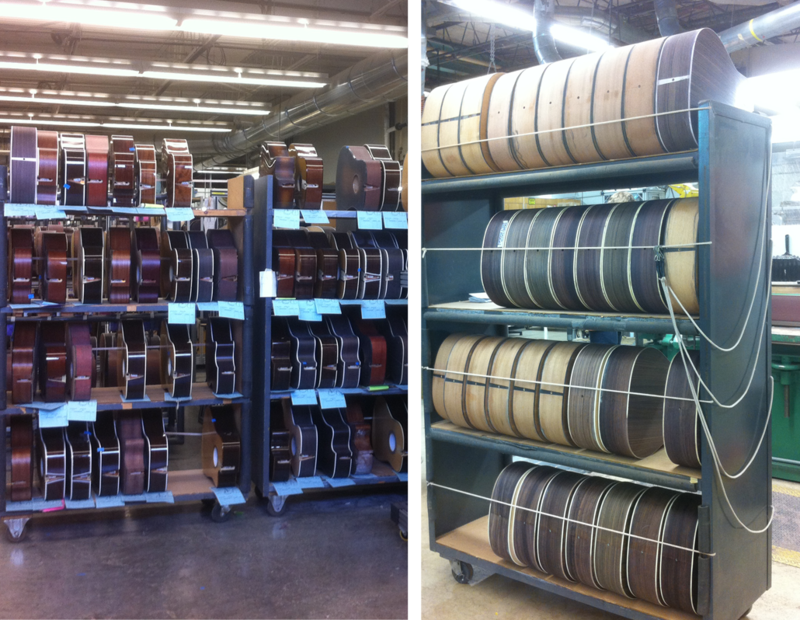 The last day on our trip, we visited the Martin Guitar factory in Philadelphia and took a tour to see how the guitars are made. These guitars are intense and now I really wish I knew how to play more than just Ode to Joy.